Visiting KAMERS at Uiterwyk eight years ago, Bernice van der Merwe was overwhelmed by all the creativity and inspired to take up her passion for handmade goodies. She loves textures, patterns, colours and exquisite style and design. Bernice was trained as Home Economics teacher, but had been raising her kids and had not pursued her career for more than 16 years. “Suddenly I had more time on my hands and I thought somehow I just have to be part of this incredible visual feast,” she remembers. And so Heart’s Design was born – in a time when they were also going through a financial crisis and Bernice found a new way to help her husband by using her talents. A few years later and Heart’s Design is a wonderful KAMERS success story. At first Bernice did everything herself, but now she employs seven helpers and she still wishes for more time to get to everything she wants to make. Bernice’s jewellery-accessories are all handmade and unique, with a quirky design here and there. She likes mixing colours, textures and patterns. “KAMERS has given me the opportunity to get my products out there and led to constant orders from boutiques,” she explains. However, by not being everywhere and only exhibiting at KAMERS her product remains exclusive. This is great advice for anyone with a wonderful, handmade creative product. Never lose your edge or exclusivity by over-exposing your product. Bernice looks to nature to keep herself inspired with colours and textures. She loves the sea, bush and forest. She loves reading books and when she travels, seizes every opportunity to visit markets, haberdasheries and second hand alley-shops. Pinterest, Poppytalk and Dottie Angel blog inspires her online. Giving back to the community, she is part of Bethesda NGO in Hout Bay, where physically and mentally disabled adults are taught new skills. 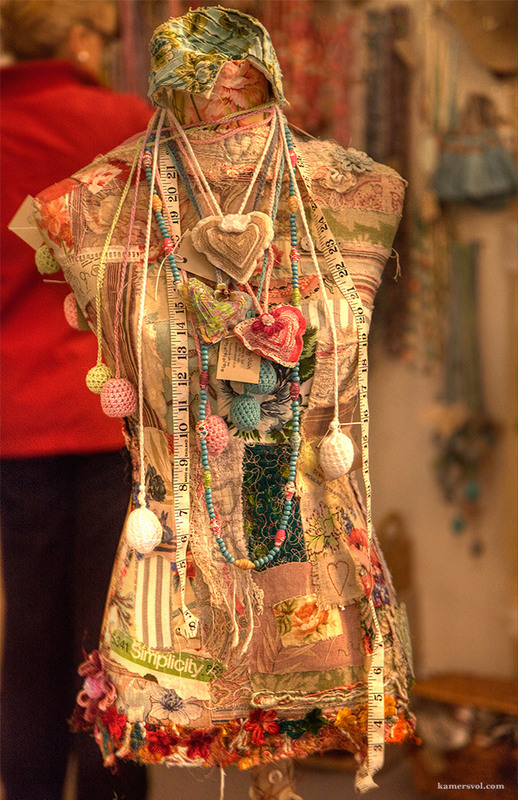 In 2012 their project was to make the beautiful Joy Dolls, which were so popular at KAMERS. “KAMERS has just given me an incredible opportunity to live my dream and nurture my passion to create! They are an incredible team to work with!” she concludes. Bernice, you are an inspiration to us and we love having you on board. Thanks for sharing your story. Heart’s Design will be at KAMERS 2013 in Bloemfontein 3-6 October, Stellenbosch 5-10 November and Irene, Pretoria 3-8 December. Tags: advice, Bernice van der Merwe, creativity, growth, Heart's Design, inspiration, KAMERS 2013. Bookmark the permalink.